HONOLULU—From a distance, the Chinese warship warned the U.S. destroyer that it was on a “dangerous course” in the South China Sea. 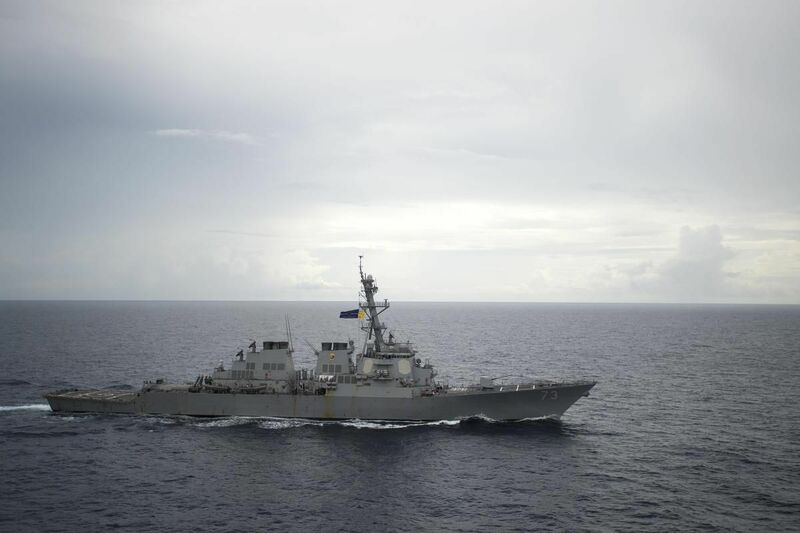 U.S. Navy, the Decatur, an American destroyer, which almost collided with a Chinese warship in the South China Sea in September 2018. The ships came within 45 yards of each other, marking the closest call yet as the U.S. navy contests China’s military buildup in the South China Sea. “A game of chicken is being played around Asia’s flash points,” said Brendan Taylor, an expert on the South China Sea at the Australian National University. As the Trump administration pushes the Navy to do more in the South China Sea, it is doing so with fewer assets just as the Chinese are increasing theirs.